From November 23 to 28, we stayed in Borneo Rainforest Lodge (BRL) to observe wild orangutans in Danum Valley Conservation Area, Sabah, Malaysia. 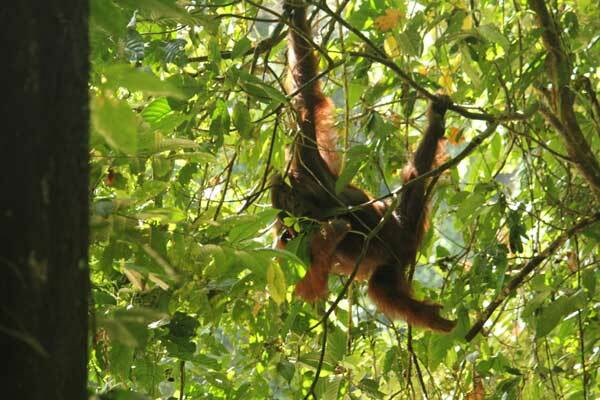 We observed seven orangutans and many kinds of wildlife in six days. Orangutans mainly fed on figs, leaves and bark considered as fallback foods. 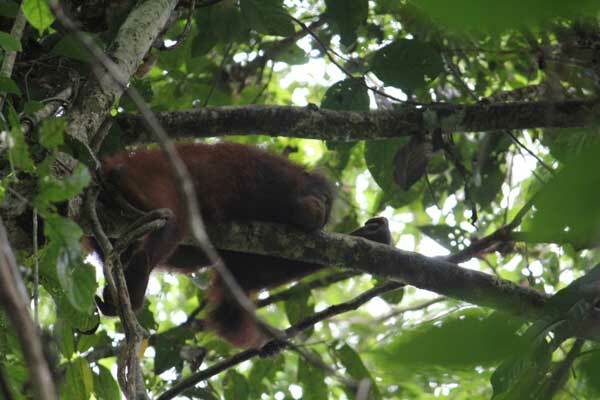 In addition, we could observe orangutans and long-tailed macaques feeding within the same patch. Also, we got the information on the rainforest ecosystem from a researcher and guides in BRL.